Manufacturer’s Description: This realistic pattern design was taken from an actual leather hide. 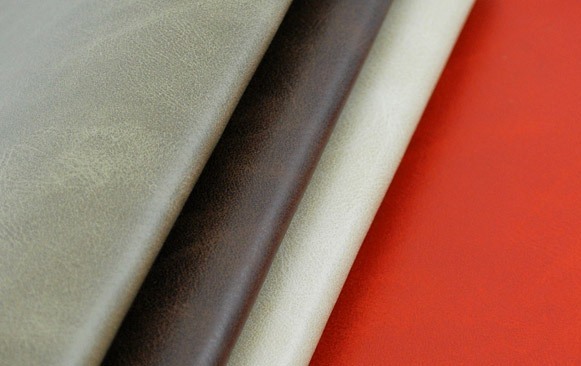 It's perfect for tufted leather upholstery applications. Sonoran offers a sophisticated distressed look, and the surface feel has a smooth silicon top finish, giving it the feel of real leather. Sonoran is available in seven traditional colors to suit any décor perfectly. ReCast Collection It's difficult to tell the difference between real leather upholstery and ReCast® bonded leather upholstery. Made with recycled leather particles bonded to the back of the fabric, ReCast contains about 18% recycled leather. The surface of ReCast® bonded leather upholstery is polyurethane giving it exceptional performance qualities and a true leather-like feel. Each pattern has tremendous physical properties, is easy to clean, and will easily exceed 100,000 Wyzenbeek abrasion cycles.